Kong: Skull Island is a prequel movie that takes us back to the beginning. We get to go on an epic adventure where we learn about the origins of King Kong, accompanied by an all-star cast. The story is set in the 1970s and will star Tom Hiddleston as the lead, flanked by John Goodman, Brie Larson, John C. Reilly, Samuel L. Jackson, Toby Kebbell and more. 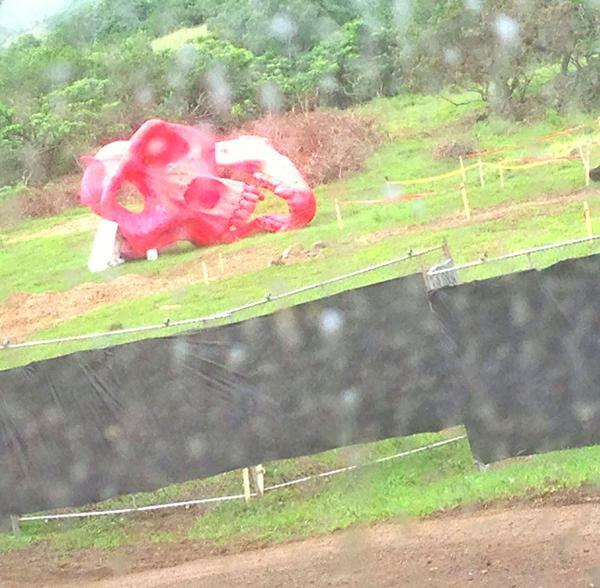 Images have recently been released by Reel Tours Hawaii, supposedly of the set of Kong: Skull Island, the shots show gigantic skulls resembling that of giant apes. What is strange is that the skulls are red. However, this could be because they are going to make them look more realistic and decayed in post production using special effects. Reel Tours Hawaii is a company that documents movies that are being shot on the island, they have a lot of images on their various social media accounts of locations and even sets used on Jurassic World and other blockbuster movies. Check it out it’s pretty cool if you are a fan of the Jurassic Park franchise you will enjoy looking at the memorable locations as they are now. 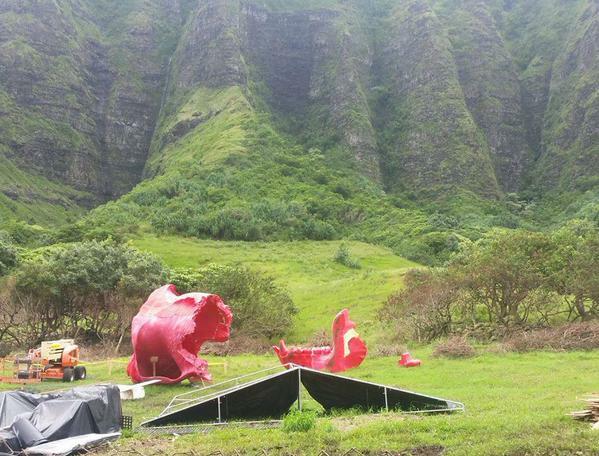 But their new obsession is the filming of Kong: Skull Island. They have a couple of snaps of signs and the like on their Twitter account but these images of the skulls are the most significant finding so far. If you don’t already know, Godzilla 2 will follow on June 8th 2018 after which we will see the blockbuster brawl we have all been waiting for in Godzilla vs. King Kong which will be released in 2020.